Supreme once again team up with Liberty of London, this time to produce these floral 5 panels. A partnership that seems to be going from strength to strength, Supreme and Liberty are at it again. 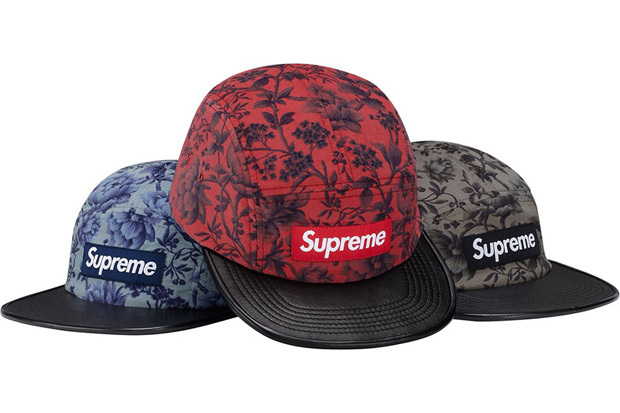 Creating three 5 panels that all feature a black leather peak and a fine Pinwale corduroy upper, the caps feature a large floral print. 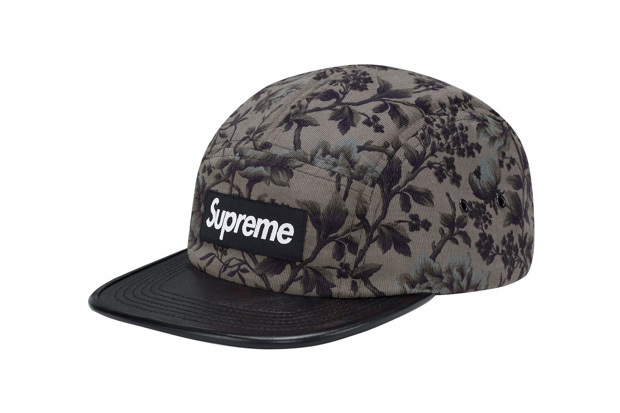 The branding is kept tonal in classic Supreme style and the pattern has to be one of the best Liberty prints we’ve seen used of late. Don’t expect these to stay on the shelves for long. The Supreme x Liberty Floral 5 panels are available now in-store at Supreme London. I went in today and didn’t cop, looked wack in person. The pinwale cord material on the upper was just too soft and flimsy for my liking, so the cap doesn’t hold shape like the preview pics might suggest. When laid on the shelf in the store they look like flat pancakes. Would have been much better if they dropped the leather bill and used an all-over floral print on canvas or something that holds shape better than these do. On the other hand, the Metal Plate 5-Panel strapbacks looked dope in person. Thick, heavy, quality cord material used on those. I’m not to keen on these, I don’t think they’re as nice as the last set of camp caps they did together.